The team from the Northern most part of India has been strong on names but weak on result off late. Kings XI Punjab reached the Semi-finals in the inaugural season of the Indian Premier League in 2008. But what followed next wasn't up to the mark for them. They finished at the fifth position in 2009. The ranking further fell down to the last position in 2010. In the subsequent year, they finished at No. 5. The ranking degraded to one position lower in 2012. It remained the same in 2013. They reached the final in 2014. But since then, they have been finishing at the bottom of the points table for two years now. Ahead of this season, the captain has been changed. The coach has been changed. It is a matter of time and for all we know, the results might also change. If there was any franchise who spent judiciously during the auction, it was Kings XI Punjab. Talking about the remaining budget, they still have INR 13.9 crores (highest for any team) in their purse. Notwithstanding the budget, they successfully managed to pitch for some handsome buys. It will be enthralling to see Maxwell in the captain's shoes. Experienced international campaigners in Eoin Morgan (INR 2 crores), Martin Guptill (INR 50 lakhs) and Darren Sammy (INR 30 lakhs) add immense strength to the squad. T Natrajan (INR 3 crores) and Varun Aaron (2.8 crores) were the highly paid Indian pace bowlers. New Zealand's Matt Henry (INR 50 lakhs) would be looking forward to his second stint in the IPL. Haryana's Rahul Tewatia (INR 25 lakhs) and Maharashtra's Rinku Singh (INR 10 lakhs) might well be looked upon at the later stages of the tournament. Shardul Thakur, who was released mid-way by Kings XI Punjab in the last season, has been acquired by Rising Pune Supergiant, limiting Punjab's squad to 26. First things first, Virender Sehwag, who was mentor to the Kings XI last season has been given the title of 'Director of Cricket Operations'. In a recent Facebook Live video chat, Sehwag revealed how he wants the team to turn up on the ground in this season. Fearless, aggressive, bold, lionhearted etc. were the words that he used. Words which describe his style of game. Words which describe the way of people live in Punjab. 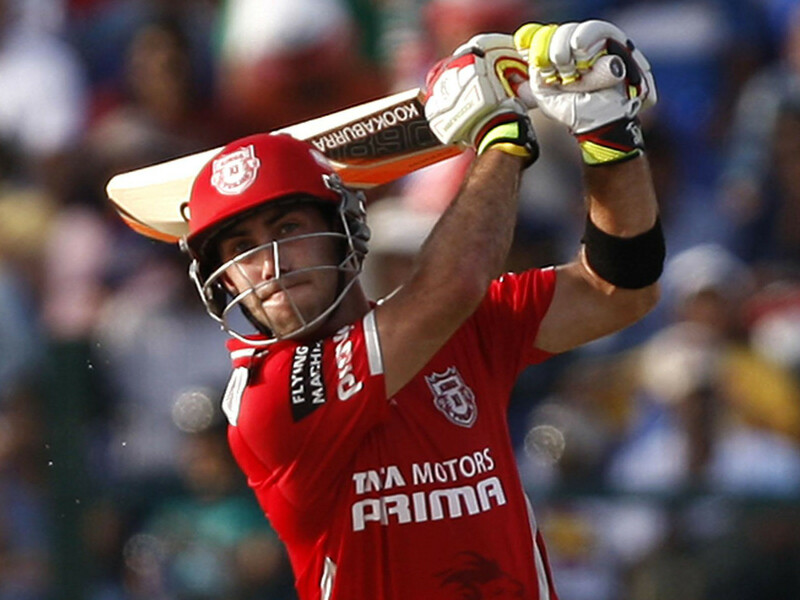 Resultant of which, Glenn Maxwell is all set to lead the side. Do not be surprised if you see him open the batting for he scored 211 runs at a strike rate of 224.46 in two matches against Sri Lanka last year while batting at the same position. Murali Vijay should beat Manan Vohra as Maxwell's opening partner. The duo of Marsh and Morgan have it in them to accelerate at will and also play the waiting game, if required. Mann and Saha can add to the fireworks down the order. Mann bowls a handy brand of off-spin. On the other hand, Saha will keep wickets. So both will play as all-rounders on the field in their own way. With the ICC World Twenty20 2012, ICC World Twenty20 2016 and the recently culminated Pakistan Super League (captain of Peshawar Zalmi) title under his belt, in addition to a T20I strike rate of 148.74, Darren Sammy should get the nod ahead of Marcus Stoinis. 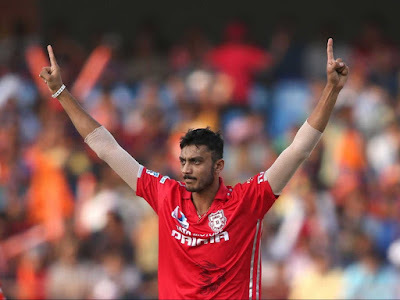 Axar Patel will lead the spin bowling department for Kings XI Punjab. Axar Patel and Sandeep Sharma would want to continue their golden period with the Kings XI. Mohit Sharma and T Natrajan will complete the bowling unit. It is hard very hard to find more strength in a T20 bench which comprises of Martin Guptill, David Miller and Hashim Amla. In terms of Indian batsmen, Manan Vohra will be the first one to be called upon into the playing eleven. During the course of the tournament, Maxwell can also acquire the services of wicket-keeper batsman Nikhil Naik, Rinku Singh and a prodigy in Armaan Jaffer. Matt Henry and Varun Aaron will definitely get a call-up to the final eleven once the tournament progresses. Their extra pace will come into play when such a situation arises. Anureet Singh, Kishan Cariappa and Pardeep Sahu add strength to the bowling division. Marcus Stoinis, Swapnil Singh and Rahul Tewatia would also be looking to contribute via their all-round skills at some stage of the tourney.